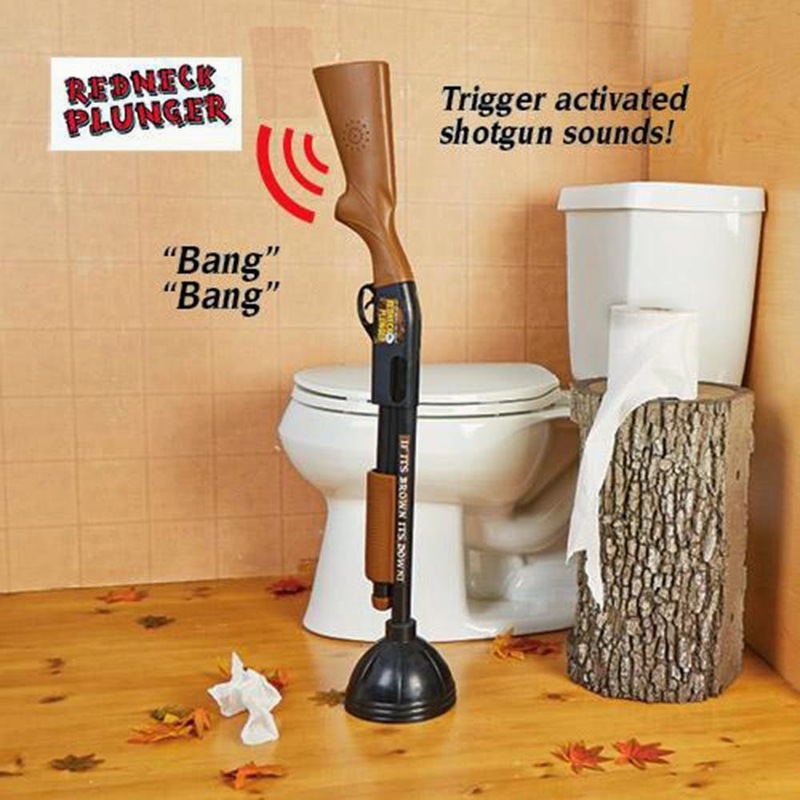 Cletus Stankton is the proud inventor of the Redneck Plunger, a true innovation for the plumbing industry! 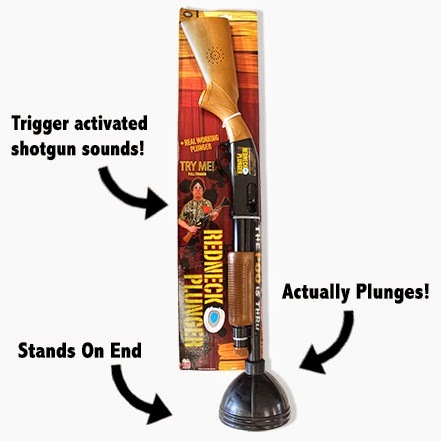 Not only does the Redneck Plunger plunge, it also makes shotgun sounds and stands upright just like a normal plunger! Oma’s youngest is a plumber. He came to the house for dinner and just fell in love with the Redneck Plunger. So yes, he took it home with him. This real working plunger is both useful and fun. The two AA batteries needed are included. The plunger is very durable and well-constructed. Oma will have to get another one for the guest bathroom. Try it now 100% Risk Free! The World's Funniest Toilet Plunger! THE POO IS THRU! GET YOURS TODAY! We Provide A Risk Free Experience! 100% Satisfaction Guarantee Or Your Money Back!